It's never too late if you haven't already helped! Each time I sit down to find creative ways to encourage each of you to support the historic Buckner Orchard through donations, memberships, and volunteer work, I find it easy to list a variety of reasons why you should be a part of what we do. In my reflections this year, I've come to the realization that support for the Orchard truly is personal. For me, its easy; Harry Buckner was my grandfather and we lived in the Buzzard Cabin until I was six. I spent many summers there, including five summers during my college years working for theForest Service on trail crews and fire standby. During that same time, college friends and I would often spend our Christmas break in a wood stove-heated cabin with no insulation when temperatures dropped into the teens and below. Evenings were spent playing Yahtzee with Harry and Lena, once snowshoeing to the Buckner home through 18 inches of fresh snow. Today, retired, my wife, Christine, our two dogs, and I spend as much time as we can volunteering at the Orchard. We all have our own experiences that make the Buckner Orchard meaningful and personal. Most are as simple as enjoying the location, the peace and tranquility, the history and beauty, or appreciating the wonderful Common Delicious apples. Please join me today in supporting the Buckner Orchard, helping ensure that we and future generations have the opportunity to create our own personal experiences and memories! PS - If you missed it, our 2018 Annual Report provides a great picture of what the Foundation does to support the Orchard. your contribution is tax deductible as allowed by the IRS. NEW MEMBERSHIP - CLICK HERE to download a membership form to print and mail to PO Box 184, Manson, WA 98831. Again, be sure to include your e-mail address. Another form of support for the Homestead and Orchard is a donation. Monetary donations may be for a specific purpose or as a non-specific donation to the Foundation. On 2-21-19 at approximately 11:15 am Douglas County emergency responders, DCSO, DCFD 2, and Ballard Ambulance, were dispatched to the 400 block of Parkway Drive, in Rock Island, for a 6 year old female child submerged in Putter’s Lake. Emergency responders were able to retrieve the child from the pond using a rescue suite. The child was initially transported to CWH by Ballard ambulance then flown to Children’s Hospital, in Seattle. The child’s current condition is critical. Investigators believe the child walked onto the pond surface and fell into the open water. Investigators do not believe there is any foul play. On 2-19-19 at approximately 5:15 am Douglas County Deputies responded to a report of two adult males stuck at the intersection of Road 5 SW and Road A SW, which is a primitive unplowed road. It was reported the two subjects had been stuck for two days. With the assistance of Fire District 5 and Fire District 1, the two males were rescued by snowmobile. One subject was transported to CWH for evaluation. After rescuing the two males from the vehicle, responders learned a third adult male was on foot attempting to walk out. Responders located and rescued the third person approximately 1.5 miles from the truck. It is believed none of the involved sustained severe or life threatening injuries. On 01-26-19 at approximately 1219 AM Douglas County Deputies were dispatched to a report of a gunshot victim in the 400 block of Crane Orchard Road. When Deputies arrived they learned Benjamin Pineda-Castrejon, a 32 year old male, of Bridgeport, sustained two gunshot wounds. As a result of the initial investigation, Jaime Valdovinos-Sanchez, a 29 year old male, of Brewster, was arrested and booked into Okanogan County Jail for Assault in the first degree. Benjamin was transported to CWH, and released several hours later with non-life threatening injuries. There are no public safety concerns at this time. The investigation is ongoing. On 01/05/19 at approximately 9:55 pm, a Douglas County Deputy was on patrol following a vehicle (Mercedes Benz, 350) in the 5000 block of Rock Island Rd. The Deputy ran a registration check on the vehicle and learned it was a stolen vehicle out of Wenatchee. The Deputy initiated a traffic stop in the 1500 block of Ohio Street. The driver initially followed commands but then sped away. The deputy gave chase. The driver of the stolen vehicle continued to try escape running stop signs and speeding at a high rate of speed. The pursuit went into Rock Island and then onto SR28 back towards East Wenatchee. After several, more turns, the vehicle was westbound on Grant Road approaching the East Wenatchee City limits at about 100 mph. The Deputy in the lead of the pursuit saw other vehicles and determined it was unsafe to continue the pursuit into the City limits. He discontinued pursuing the vehicle and notified dispatch and all other units in the area. East Wenatchee Officers saw the vehicle as it entered the city limits and gave chase for a short time until the driver fled on foot. The driver was caught shortly thereafter. The driver was identified as Jesus Morales-Lozano a 26-year-old male out of East Wenatchee. Douglas County Deputies booked Jesus into CCRJ for possession of a stolen vehicle, attempting to elude a police vehicle, driving while license suspended in the third degree. Jesus also had an outstanding arrest warrant for driving while suspended in the third degree. Lake Chelan Tourist Center presents its First Annual "Lake Chelan Christmas" with ~ Geoffrey Castle's Celtic Christmas. It's First Year in the Lake Chelan Valley, legendary electric violinist Geoffrey Castle brings the Christmas magic with this dazzling concert, featuring the Seattle Irish Dance Company, The Geoffrey Castle Celtic Band, Guitarist and Irish Tenor Dan Connolly and singing sensation and former Miss Kirkland Emily McIntosh. Bagpiper David Wilkie will kick off the show. Now in its 11th year, Geoffrey Castle's Celtic Christmas Celebration has become a new Northwest Holiday Tradition, bringing communities together to celebrate the magic and mystery of the season, with an Irish flair for fun! Geoffrey Castle is a living legend on the electric six-string violin. His performance history includes playing music with members of supergroups like Heart, Queen, Journey, Bad Company, YES, Alice in Chains, Soundgarden, Blues Traveler, the Pogues, and the Neville Brothers, while releasing 12 albums on his own independent label and touring and performing all over the world. The Seattle Irish Dancers are the only professional performance Irish dance company in the Pacific Northwest. They've performed with musicians from around the world - Gaelic Storm, The Chieftains, and Celtica Pipes Rock - to name just a few. They perform often with Geoffrey Castle and are excited to come to the Lake Chelan Valley. All other performances in Washington have sold out, so this is the last chance to see this years Celtic Christmas Concert. This production was brought to the Lake Chelan Valley by the Lake Chelan Tourist Center in is efforts of creating Family Friendly Community Events & Entertainment. 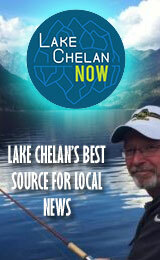 Proceeds from this concert benefit Various Lake Chelan Community Events & Student Programs. Adopt-A-Tree at Buckner Orchard - a great gift! A Great Way to support the Orchard! Looking for a stocking stuffer, a special gift to commemorate a memory or loved one, or to create a sense of caring and nurturing in a young person? Consider giving an adopted tree at the Buckner Orchard for 2019. If the Buckner Orchard is going to continue as the treasure we know it to be, it must have caretakers now, as well as long into the future. What better way to ensure that future than by giving a child a gift of a tree! The response of children who received trees is touching. They picked out their trees, wanting "to grow up" with a younger tree, pulling weeds, placing mouse guards, and running water to "their tree". They have become attached to "their" tree and now have a wonderful opportunity to care and help nurture a living thing for many years to come. TREES ARE NOT JUST FOR CHILDREN!. Maybe you know someone who doesn't get to Stehekin often enough, who has a special memory of the Orchard, or you just want to support the work of the Foundation in caring for the Orchard? The adoption of trees also raises awareness of the Orchard and its care. Adopt-A-Tree is one way in which you can support the work of the Foundation in caring for the Buckner Orchard. With your support much can be done to protect and conserve the heritage of this national treasure, and to continue its place as an important part of the Stehekin Community. Adopt a tree for yourself and be a part of the Buckner Orchard! Adopt-A-Tree funds are used exclusively to support the care and maintenance of the Buckner Orchard and are tax deductible. A personal message may be included on the certificate, such as, With love and fond memories, from Aunt Cinda and Uncle Jim. You choose the one-line wording. Step 2. Mail a check (@$25.00 per tree) to the Buckner Homestead Heritage Foundation, PO Box 184, Manson, WA 98831. Because some may be given as Christmas gifts, a certificate will be mailed immediately, trusting that the appropriate payment will be forthcoming. Certificates can also be sent to you in PDF format via e-mail, ready to print from your computer, name of the recipient included. Let us know your preference. This is also a great time to renew trees adopted during previous years. Please let us know if a new certificate is needed and follow the directions above. Adopt-A-Tree is one of three means by which the Foundation raises funds to support the Orchard and Homestead. The other two are memberships and donations. Please help us today and give a gift of love and caring. A Stage 1 burn ban in Chelan, Douglas, Kittitas and Okanogan counties expires at 4 p.m., Monday, Nov 26, 2018, according to the Washington Department of Ecology. A ban on outdoor burning and the use of uncertified stoves and fireplaces begins 10 a.m. Saturday in Chelan, Douglas, Kittitas, Klickitat and Okanogan Counties due to poor air quality in the region. Restrictions on burning will continue until further notice. The Washington Department of Ecology is calling the ban because stagnant conditions are predicted to return in these counties after a brief break, putting the communities at risk for unhealthy levels of air pollution. In the first half of this week monitors showed elevated levels of air pollutants. Fine particles from wood smoke can easily get into people’s lungs causing heart and breathing problems. Under a Stage 1 ban, all outdoor burning is prohibited including residential, agricultural and forest burning. Use of uncertified wood stoves, fireplaces, inserts, and other uncertified wood-burning devices are prohibited unless they are a home’s only adequate source of heat. Cleaner burning certified wood stoves, pellet stoves and other certified wood-burning devices are allowed. Up-to-date burn ban information is available at www.waburnbans.net. On 10-11-18 at approximately 11:58 PM Douglas County Deputies were dispatched to a one vehicle rollover collision in the 500 block of Road M NW. When Deputies arrived they found Charles T. Besel, a 38 year old male of Wenatchee, and Judy M. Hoffman, a 37 year old female of Waterville, outside of the vehicle. Due to their injuries Judy and Charles were transported to the Central Washington Hospital in Wenatchee. Charles was treated and released, however Judy later passed away from her injuries. The investigation revealed Judy was the driver and alcohol was involved.